In the last 20 years or so, I've seen an amazing jump in the number of people who suffer from thyroid problems. It's becoming epidemic. Even our children are starting to have thyroid disease. What could be causing the rising epidemic? While the answer might surprise you, it will make perfect sense. A study published in the prestigious journal Scientific American found that the cause of thyroid problems could also be at the root of tooth, bone, and brain damage as well. The nemesis causing all this damage is fluoride in our water. We've known for some time about fluoride and tooth and bone damage. But still dentists force the poison on us. But the thyroid information is new - and it's important: The National Research Council concluded that fluoride can subtly alter endocrine function, especially the thyroid. The thyroid is the gland that produces hormones regulating growth and metabolism. John Doull is professor emeritus of pharmacology and toxicology at the University of Kansas Medical Center. He said: "The thyroid changes do worry me. There are some things there that need to be explored." It’s only logical that fluoride would damage your thyroid function. Its chemical makeup is similar to iodine. They are both halogens, which means it is chemically similar to iodine. But fluoride is much more active and will displace iodine, creating an iodine deficiency for your thyroid. What about your brain? There have been intense clashes over neurological effects of fluoride. Phyllis Mullenix, then at the Forsyth Institute in Boston, set off a firestorm in the early 1990s. Her experiments on lab rats showed that sodium fluoride can accumulate in brain tissue. It affects animal behavior. Prenatal exposures, she reported, correlated with hyperactivity in young rats, especially males. (Hmm, isn't there a terrible epidemic of hyperactivity in human children, especially males?) Exposures after birth had the opposite effect. It turned female rats into what Mullenix later described as "couch potatoes." Mullenix's research was eventually published in Neurotoxicology and Teratology. However, it was attacked by other scientists. They said that her methodology was flawed and that she had used unrealistically high dosages. Since then, however, a series of epidemiological studies in China have supported her. High fluoride exposures lower IQ. I am thrilled that the mainstream is taking a second look at the government dictate of fluoride. With the poison in water, there is no way to control the total amount you ingest. If a drug was on the market with such a narrow margin of safety, it would have warning boxes all over its label. Fluoride has NO margin of safety. I strongly urge you to demand your elected officials stop paying the aluminum industry to dispose of their poison for them (in your body). Adding fluoride makes it expensive to purify water. Cheap charcoal can remove most organic contaminants. But, for fluoride, you need reverse osmosis or distillation. The latter is expensive in terms of energy. The former takes an investment of at least a few hundred dollars. 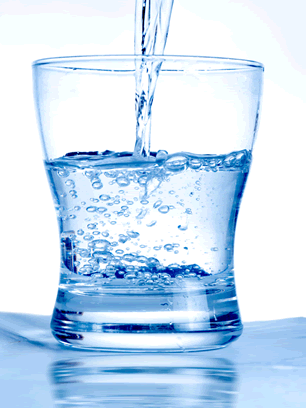 It's vital that you drink water that has gone through distillation or reverse osmosis filtration. It's the only way to get rid of the fluoride and protect your thyroid and your brain. Fagin, Dan. "Second Thoughts about Fluoride," Scientific American, January 2008, pages 74–81; Neurotoxicology and Teratology, 17(2), 1995. Clarification: In the March 19, 2014 alert regarding MMS, hydrochloric acid is mentioned as one possible acid to use in the mixture. Many of the MMS "kits" you can buy online come with diluted hydrochloric acid (4%). As far as we know, these products are safe. However, because of the wide variety of commercially available HCl products on the market, the doctor does not recommend the use of concentrated HCl for MMS. No one should ever obtain or use reagent grade, technical grade, or any other concentrated form of hydrochloric acid. The use of concentrated hydrochloric acid could cause serious injury or even death.